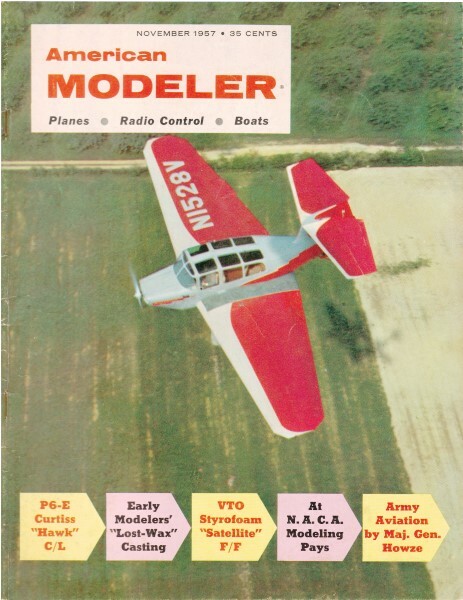 Website visitor Sam B. wrote asking that I scan and post this article on the Ranson "Warrior" X-3 homebuilt airplane that appeared in the November 1957 edition of American Modeler. He is considering building a control line version of it. 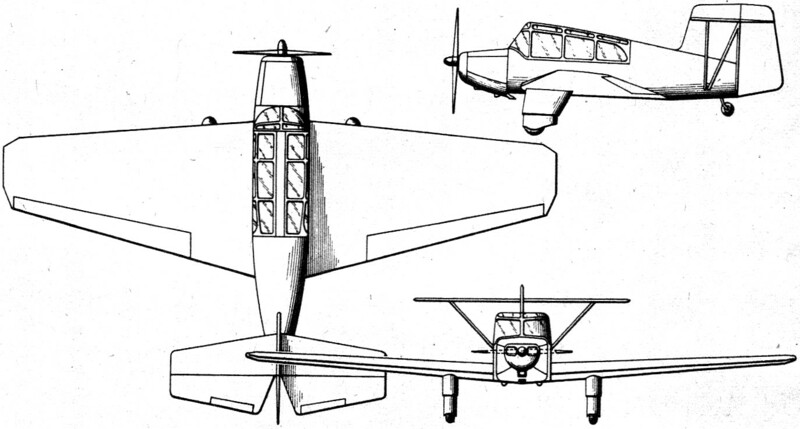 Unfortunately, only a 3-view drawing of the craft appear in the magazine, but there are also a couple photos (along with the color Cover Photo) that should help with drawing plans. 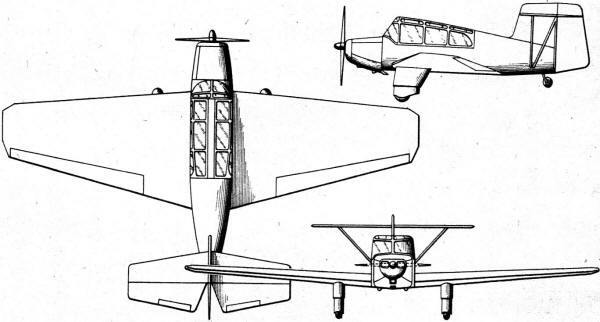 A Web search turned up only one example of a full-size Rason Warrior X-3 (N1528Y). 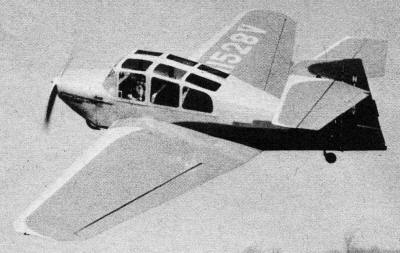 The was a link to a rubber-powered free flight model version, but the links are broken. There is a plans listing for a 13" Ranson Warrior X-3 in the AMA Plans Service's list. The Rason "Warrior" X-3 is the brainchild of Alvin Ray Johns, an inspector with Fairchild Aircraft (Hagerstown), who with the financial and physical aid of Paul L. Witmer has turned out this 4 or 5 place passenger-cargo plane of mixed construction. The "Warrior" has been developed with an eye towards bush country operations in the wilds of Canada and South America with its ruggedness and small field take-off/landing capabilities. Powered by a 185 hp Lycoming 0-435-1 engine, the plane can carry a 1000-lb payload; tests have shown that the craft can carry out low-speed climbing turns at gross weight with complete safety. Landing. speeds of 40 to 45 mph permits short field operations with ease; its long-travel landing gear affords safety in rough fields. Plane's large area wing provides a fast, steep-climbing feature. It is interesting to note that the trailing edge of the cantilevered, tapered wing ends not far from the leading edge of the high-positioned horizontal stabilizer. The "Warrior" is equipped with wide doors and quick-remove seats for convenience of cargo loading. Designed in 1947, flown some 4 years later after "spare-time" construction, it is presently undergoing pre-certification flight test development. The "Warrior" is Mr. John's third design, his first being a light sport craft powered by a Model "A" Ford engine, built and flown in 1938 when he was 21. Specifications are: Cruise, 118 mph; maximum speed, 140 mph; landing speed, 42 mph; rate of climb, 1,000' per minute at 75 mph; empty weight, 1,820 lbs; gross weight, 3,450 lbs; span, 38'; taper ratio, 0.46; horizontal tail, 15'; vertical tail, 15'; length, 22', 3".